Dems to stall Senate in ObamaCare protest | Circa News - Learn. Think. Do. 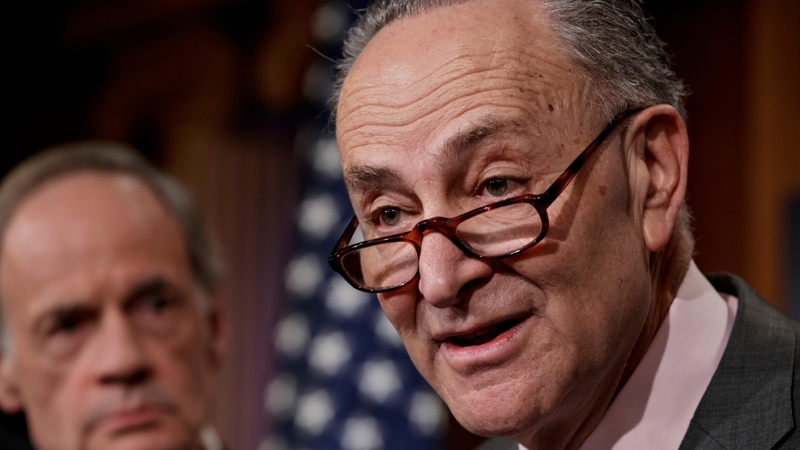 “If Republicans won’t relent and debate their healthcare bill in the open for the American people to see, then they shouldn’t expect business as usual in the Senate,” Senate Minority Leader Chuck Schumer (D-N.Y.) said Monday, according to The Hill. “[Republicans] are drafting this bill in secret because they’re ashamed of it, plain and simple,” he added. Sen. Patty Murray (D-Wash.) is also purportedly organizing a late-night talkathon Monday aimed at drawing attention to the GOP’s ObamaCare repeal and replace efforts. The Democrats’ efforts are the latest escalation of their battle with the Republicans over the future of U.S. healthcare. Ben Wikler, Washington director for the liberal advocacy group MoveOn.org, on Monday praised Democrats for fighting harder against changes to ObamaCare. Rep. Adam Schiff (D-Calif.), the ranking member of the House Intelligence Committee, additionally blasted Republicans for working on health care reform privately. Senate Republicans are hoping to vote on their legislation for overhauling ObamaCare before late July when they leave for the August recess. The GOP currently holds two Senate seats, meaning they can only lose two Republican senators and still pass a bill with Vice President Pence beating a tie.